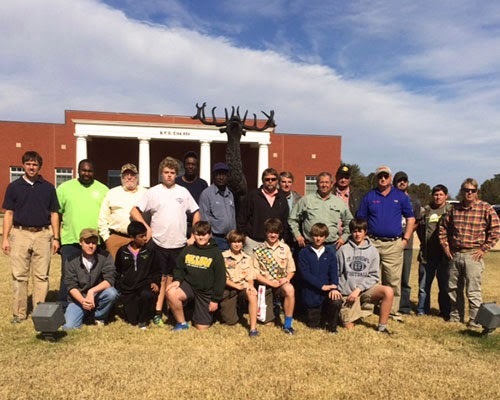 With the help of the Elks from Greenwood, Miss., Lodge No. 854, Sgt. John Pittman Drive—a major route in the city of Greenwood—is looking more beautiful than ever. The Lodge used an Elks National Foundation Beacon Grant to partner with Boy Scout Troop 200, the Greenwood Department of Public Works, and local volunteers to improve the appearance of this major road. 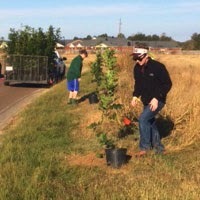 Thanks to the hard work and dedication of all the individuals involved in making this project a success, 214 trees were planted along the route. A 501(c)(3) public charity, the Elks National Foundation helps Elks build stronger communities through programs that support youth, serve veterans, and meet needs in areas where Elks live and work. Through Beacon Grants, the ENF gives Lodges the opportunity to develop an ongoing, charitable, Elks-driven community project. These $2,000 grants are available to all Lodges. To find out more about Beacon Grants and the Community Investments Program, visit www.elks.org/enf/community.